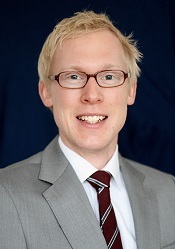 Dr. Lasse Schuldt joined the faculty in 2015 as a full-time lecturer. He received his legal education from Humboldt University Berlin, with an exchange semester at the University of Paris I. He completed a doctoral dissertation at Humboldt University on the criminal liability of journalists and holds the qualifications for judicial office in Germany. Prior to joining the faculty, he practiced as an attorney in Berlin. Dr. Schuldt lectures in comparative constitutional and administrative law, business crimes and German law. His current research focuses on adjudication by human rights courts, international criminal law in Southeast Asia, and corporate and business crimes in ASEAN countries. He has been supported by the German Academic Exchange Service (DAAD) and is also a member of the German-Southeast Asian Center of Excellence for Public Policy and Good Governance (CPG).